Replacement:TOL-11099. We have added safety glasses and updated a few parts in the new Intermediate Tool Kit. This page is for reference only. 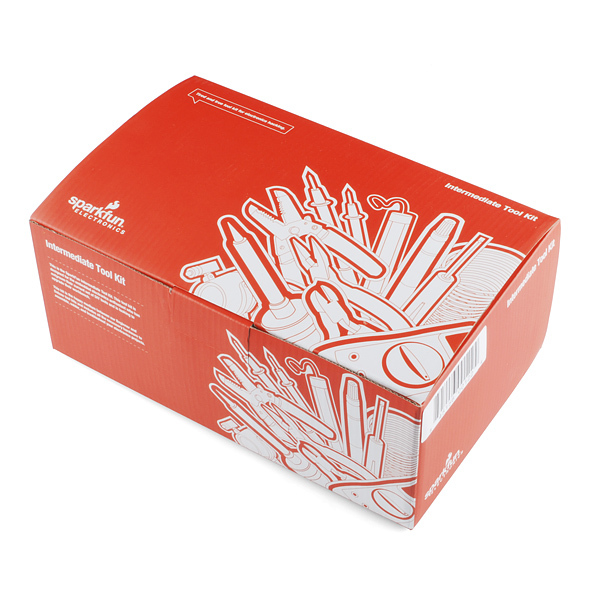 This box of tools is a happy medium between the beginner and deluxe tool kits. 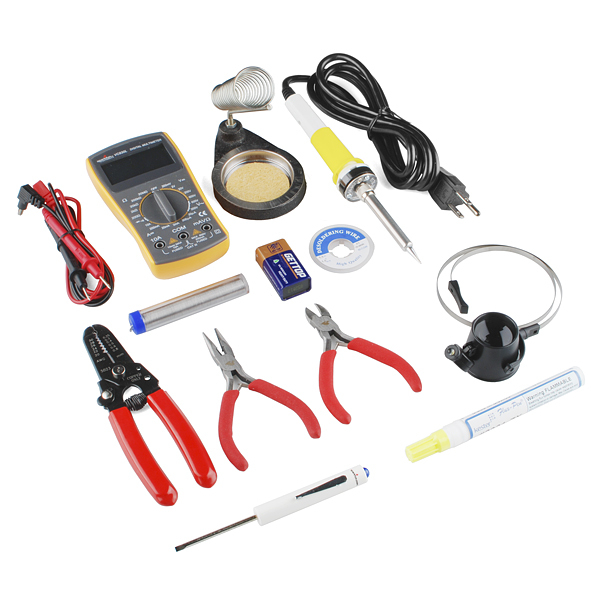 Most of the tools necessary to assemble, solder, and troubleshoot your projects are included here. These tools are tried and true - used here at SparkFun on a daily basis. The latest version of the kit does away with a few of the lesser-used items. **Note: **The solder spool in this kit is leaded. We prefer using leaded solder on prototypes or other non-production type things - it's easier to work with (flows better). If you're new to soldering, the leaded solder will make things a bit easier. Solder Wick #2 5ft. - Generic - If you've never used wick before, this will save your~~ life~~ project. Liquid Flux Pen - Water Soluble - Flux is your friend, your best friend. Monocle Magnifier - Illuminated - Gotta see those tiny SMD parts! Diagonal Cutters - Snip those long leads! Isn't this kit missing something to "pinch" the pcb? The Parts Wishlist is for the old intermediate kit. just noticed the same things and agree with the price! !